If you want to bring your Roku TV’s sound to the next level, then you’ll need a proper set of speakers. But why bother with some tangly old-fashioned speakers, when the Roku wireless speaker is on sale for $149? The Roku wireless speakers are designed to work exclusively with the Roku TV, and they aren’t your average pair of wireless speakers. They’re easy to set up, they can mount on your wall, and they look incredible. Of course, the Roku wireless speakers have outstanding sound quality. Quiet dialog-heavy scenes will sound clear and crisp, and you’ll be able to feel the violent bass of your favorite song or movie. 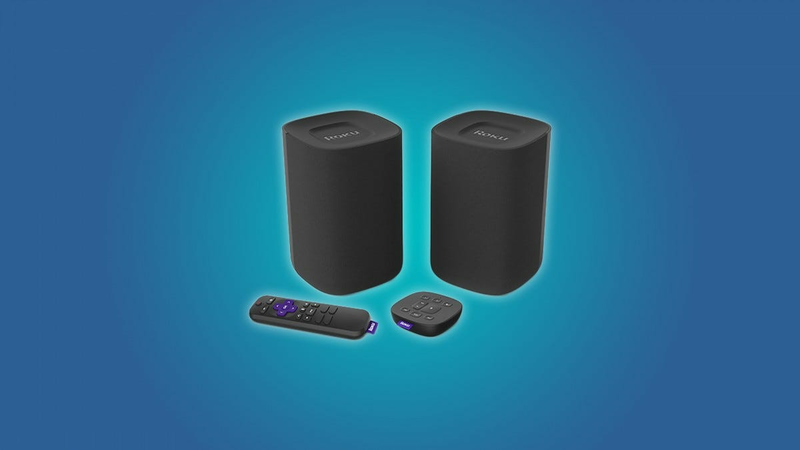 These speakers also come with a Roku TV voice remote and a Roku Touch tabletop remote so you can use voice commands to switch through playlists and movies from your couch or your kitchen. These remotes are usually priced at $30 each, and their inclusion makes this deal even sweeter. Roku wireless speakers usually retail at $200, but Roku is offering them at $149 right now. They come bundled with $60 worth of TV remotes, which is just icing on the cake. Just don’t wait too long on this deal, because it’ll be gone before you know it.